Hopefully, these deep sea fish pictures feed your imagination on the multi-colored ocean fish in Caribbean waters. I have some really funny cousins, they refuse to get underwater because they are afraid of what lies beneath. But fear tends to accompany the unknown. 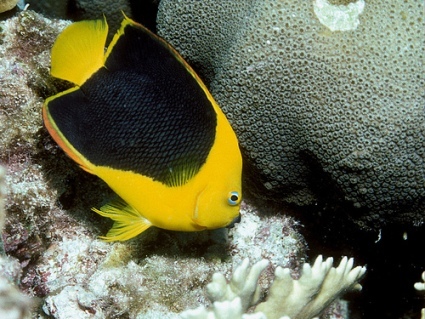 You must know that these fish or any other marine animal won't do anything to you until you do. So watch, enjoy but don't touch. 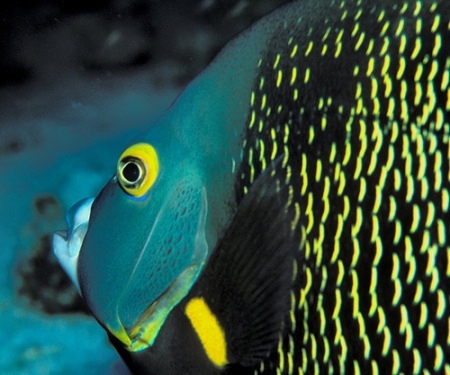 One of the most beautiful ocean fish found on coral reefs, the queen angelfish. It gets its name from the "crown" on its head. Their bright colours are a scare tactic to predators, warning them to "Stay away!". Usually, scuba divers can easily approach without scaring away these fishes as long as you refrain from any sudden motion. 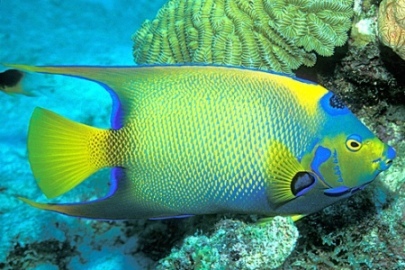 Parrotfishes are important in maintaining the diversity and health of coral reefs. They are herbivores. 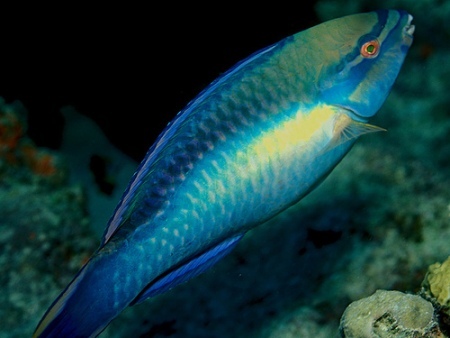 Think of parrotfishes as the weed whackers of the coral reefs. They use their beak-like mouths to graze on algae preparing new surfaces for colonizing creatures. They are hermaphroditic (can change from female to male)! Isn't that cool?! The stoplight parrotfish shown here is female or initial phase of the male! 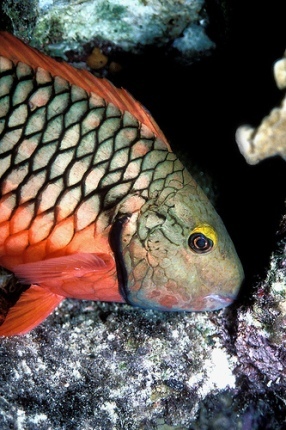 Usually the female parrotfish tends to be muddy brown, pink or purple and the males are brightly coloured blues and green.